It's so heart wrenching to watch the oil spill on tv and every family's loss in the region due to it. Is there any giant spell we can all do to prevent it from damaging the world any further? Even though I don't live anywhere near it, I feel like it affects the whole world. I think that maybe Clarity work would be good place to begin. Setting lights and anointing them with Clarity oil. True, it would need to reach a alot of people, but it's a start. If you made it your mission and focus and got the materials that you need to do a long run, you could begin to affect change. I know that's probably not the giant spell you were thinking of, but sometimes just one persons intent and focus can make a change. LM sells King Soloman Wisdom oil as well - you could work that. The key is to change thinking on a grand scale. You can order a Blessing candle to be set by MISC for everyone involved in the incident. This can help. The MISC has "World Peace" candles available, and I think "peace" includes environmental issues as much as political/social issues. I've thought about this too, actually. How about calling down the wrath of God or Mother Nature on these greedy corporations and their minions? I am amazed at the people on this board who want to call on a spirit from Hell (Intranquility Spirit) or the spirit of Death (Santa Muerta) to get a lover to return, but don't want to do anything to those who are killing the Earth, except wish them clarity, blessings, and peace. How about a spell to compel them to clean up the mess and pay damages to those whose livelihoods have been destoyed? How about punishing them for their greed and arrogance? Containing within her the power of all the gods combined, she is the invincible power of Nature who triumphs over those who seek to subjugate her. I think lighting a Durga, Compelling, or Essence of Bendover Candle would be a start in dealing with this situation. Mama Micki, Amen! I couldn't agree more! Durga is one of my close deities - and let me tell you, she is a FORCE to be reckoned with! I indicated those candles for those people aversely effected by the spill and stick with it. I don't hestitate to work justice, but personally I wouldn't start tossing spells around in a situation that's already messy, tricky, and has caused enought hurt. By all means compell whom you wish, call up death-avenging spirits, but I still think a bit of Blessing or World Peace can go a long way to heal the hurt of those (human and animal alike) who've been hurt by this. My first impulse is to heal and soothe those who need it most. I agree with CM on this. You can curse and destroy those who caused this to happen, however that does very little to help the poor fisherman who won't be able to provide for his family now, nor the millions of plant and animal life that are going to die slow, very horrid deaths from this poison. Heal the helpless first, then turn on the SOBs that caused this in the first place! The corporations that caused this mess need to pay for it, even if it means bankruptcy for them. They need to pay the billions to compensate the victims and to do whatever it takes to clean up. I know that just cursing them won't solve the problem, and that wasn't what I meant. I want them accountable and to answer for their actions. Of course, anyone that wants to send healing to the human and animal victims of this catastrophe should do so. Maljen wrote: I agree with CM on this. You can curse and destroy those who caused this to happen, however that does very little to help the poor fisherman who won't be able to provide for his family now, nor the millions of plant and animal life that are going to die slow, very horrid deaths from this poison. Heal the helpless first, then turn on the SOBs that caused this in the first place! A very hearty bravo to you for this post...I couldn't have said it any better... I agree 100%. I think blessing and healing is definitely the way to go. I too am angry at the irresponsible behavior of those in charge, but I believe they will suffer for this in some way or another. I think I am going to send Reiki to them myself. Maybe I can get some healing products to use as well. It is awful what is happening and I cannot even look at the tv when they show the animals. I was down there before Katrina hit and I loved it. I am hoping to go back down sometime this year. If we attack the corporation, the little people on the bottom, belonging to it are helpless themselves. So if we attack them, even helpless people belonging to it are hurt. It's the dumb management's fault. I agree with CM & Maljen. Like the helpless wildlife that is becoming extinct... the next generation of children won't even get to see alive. Plain Jain has a point, too with Clarity.. Pray that an intelligent company can see the situation clearly and contain the oil as quickly, and clean it up as best as they can. The crazy part is it's not completely BP's fault, but Haliburton's. Here is where Cleopatra's right, to compel the Big corporations to compensate all the families involved. If these companies go bankrupt, all of us as taxpayers would have to somehow pay for it indirectly. They still win somehow.. remember all of the bailouts? Like Mystic Rootworker, we should all definitely send good energy to the people working hard to clean it, and the humans/wildlife suffering from it. The three corporations involved are BP (British), Transocean (Swiss), and Halliburton (US, but corporate headquarters is in Dubai). There won't be any bailouts from the US government, and I doubt that the other countries will do so either. We need Peace and Blessings right this moment. Spiritual and emotional support. Emotions are already running high, and more angst / revenge will only add to it. Louisiana is the worst hit at the moment, so they need prayers the most. I live in that southern region, and yes, the wildlife is dying in stages, we are physically doing all we can to mitigate the damage as dwellers of this part of the land. Yes, it is horrible to see an animal covered in goo and/ or dead. Those of us who can, have created alters just for the wildlife affected and the people who's livelyhoods are threatened. As humans, we can even start over if need be, but the animals are helpless. Start with them first. The wheels of justice turn slow, but they DO turn. Given her vested interest in the area, asking Marie Laveau to help just might be a good idea. It's quite painful to be watching all this footage on the news about the tragedy in Japan without being able to do anything about it. Is there anything hoodoo related that can help? I know one person against this monstrous natural disaster would most likely do nothing, but maybe if everyone lit a vigil for healing or protection we would at least be doing what we can. You can have MISC let lights like Healing and Blessing. Never underestimate the illumination that a single flame can bring to an otherwise dark room. I third ConjureMan and follow your intuition ladydawn. There are many who has lit a candle globally. Three of my Tibetan friends closed their shop early today and are praying/meditating over candles that they will be lighting for the victims. Sad thing indeed. Yes, I had the same question as LadyDawn, I'm also concerned about the nuclear plant situation over there. I realize the politicians are saying that there is no reason to worry, but this concerns me more. There has to be nuclear particles in the cloud pouring out of the plant that exploded. What happens if the other one explodes? That's sheer conjecture so I'll get to the point, what can be done in HooDoo specifically for the environment to protect it from the atmospheric spread of nuclear particles? In the bible is says when two come togther in prayer the prayer is stronger; I'm wondering if we band together and do something similar in Hoodoo to render the current nuclear cloud harmless? While at the same time praying and working conjure on the rods in the other plants from melting;causing disastrous effects for human, animal and plant life? Thank-you LadyDawn for the question and thank-you Conjureman Ali for answering our questions. I did a general prayer and candle lighting for japan and everyone involved while asking those above for protection and peace to those affected. I didnt think of having MISC set a light. Great idea. Speaking of having MISC set lights, which one do you think would be most beneficial? Im looking @ Healing Miracle, World Peace or Blessing? EavenStar, any of those three -- Healing Miracle, World Peace, and Blessing -- would be appropriate. I would also add King Solomon Wisdom for the nuclear plant technicians to keep their wits about them during the crisis. How about Japanese Lucky 7 and Lucky Buddha? The Japanese people could use some luck right now. Mama Micki! That is SO GOOD. We do make a Lucky Buddha Candle, but Japanese Lucky Seven only comes in the form of oil, incense, sachet, and bath crystals. Still, it could be used with Lucky Buddha oil to dress a Lucky Buddha candle. Very nice, thinking on your part. Thanks! The Super Storm is coming Protection Help, Please. This Hurricane (Sandy) combo Nor'eastern coming on Monday is expected to make landfall in Ocean County NJ (central Jersey). which is where I live. And I live at the shore, on the bay, smack dab where the weather people say its going to land. It is a category 1. Biggest storm ever supoosedly going to hit here. Today our governor is probably going to declare us a state of emergency. What can I do to protect my home, my cats and myself (aside from evacuation) from harm? Re: The Super Storm is coming Protection Help, Please. Okay, I don't know much about hoodoo just yet to help you magickally, but I do know enough about survival skills and disasters to help you with that... Hopefully one of the more skilled members of the forum can help you magickally. Make sure that you have a way out in case things get hectic. Have some emergency money either on your person or somewhere that you can get to in the house in under a minute, and take only the most important pieces of information with you (ID, SSN, birth certificate). From what I understand, NJ got hit the worst last year. I live in CT, we were hit pretty bad but not as bad as NJ. If it's not possible to just get out and evacuate, you want a Freak/Bug Out kit with you. They're perfect for all types of situations, whether it be nuclear or natural. In here you should have a radio with independent power (solar power is best), those flashlights that gain power when you shake them, and such of the like. There are links online to what you'd usually find in such a kit. I can't suggest anything for the cats, unfortunately. =( The most I can think of is having their crates ready just in case you need to hightail out of there, or keeping them in the same room as you. Please do be careful. If I get anymore ideas or anything, I'll be sure to share. I appreciate all your suggestions. and thank you for your effort!! Ive lived in NJ for quite awhile and I always do what you have suggested. You could look to Saint Christopher and Comfrey for safe travel in the event that you need to evacuate. You could have a light set at the MISC (recommended). Many of the deaths or accidents associated with any major storm occur after the storm. Folks mess with down powerlines, etc. Marjoram with feverfew can assist you with the "after effects" of a storm with electricity. If you are advised to evacuate, please do so. I live in the state of Florida, and have for all of my life. Natuarally, we have been hit by "natural disasters", tropical storms, hurricaines, tornadoes, lightening, wind, hail, etc. I like the advice above about your cats. Not all shelters take pets. Make sure to take them with you, and crate them and find a pet friendly shelter, in the event that you do evacuate. Another thing to consider is to put in prayer requests at the Crystal Silence League. I second Tammie Lee and Papa_Newt. Thank you everyone. Papa_Newt I just put in a request. You can ask Archangel Michael, the angel of protection, and Archangel Ariel, the angel of the Earth and the weather, for help. Dress a white candle with St. Michael, Protection, or Holy oil. Pray Psalm 107, which mentions God calming a storm. In the Bible, there is a story about Jesus calming a storm while he and the disciples were at sea. Mark 4:35-41 and Luke 8:22-25. Lighting a Jesus the King candle (or a red or white candle dressed with Jesus the King oil) would affirm that He has authority over adverse weather conditions. Thanks Mama Micki. I have an Archangel Michael candle and his oil. I will do that! I live in New York (Zone A area) and me and the hundreds of other residents in my neighborhood are sticking this one out. Irene did nothing to us last year. We're praying for the same this year. Anyhow, I have a House Blessing Candle burning right now as the storm nears. I also sprinkled Holy Water outside my apartment door and outside all of my windows (on the ledges). I included all who in the path of the storm in our prayers at church today. Please stay safe. On a practical note, be prepared to evacuate and take the cats with you. One of my cats, Pillow Bob, was a rescue after the 1986 river flood in Guerneville, California -- the owners simply drove away as the river rose and left the cat there. He was found, weeks later, living in the woods, terrified and hungry, and we took him in. It should not have happened. Remember all those dead, lost, and suffering pets after Hurrivcane Katrina? That should not have happened either. A cat can live in a crate for several days if given water and food, and allowed out on a collar and leash to do its business. Seriously, do not leave the pets behind. If you mmust evacuate, Safe Travel products, along with herbs like Comfrey Root and Feverfew, are good allies, as mentioned above. 15 Let not the waterflood overflow me, neither let the deep swallow me up, and let not the pit shut her mouth upon me. 16 Hear me, O LORD; for thy lovingkindness is good: turn unto me according to the multitude of thy tender mercies. Send thine hand from above; rid me, and deliver me out of great waters. JackieLove survived the storm with only a few downed trees. She had some flooding in the front of her home but no damage. She wanted me to express her thanks and prayers to everyone. We are ok!! Thank you everyone and Thank you Ms. Melanie for sending my message. In actuality, we had 3 feet of flooding in my neighborhood bc I am between the bay and the inlet. Power was out for just over 48 hours. Many people in my neighborhood lost their homes and or have major water damage. There is debris and muck everywhere and it is going to take weeks to clean it up. Many, many old oak trees uprooted, powerlines down and telephone poles. We lived without electric, hot water, heat, and internet and telephones for all of this time. Some of us had cellphones connection and we charged in our cars, some of us didnt. But we are ok. We didnot evacuate. I live in Toms River, New Jersey, less than 300 feet from Barneget Bay and the inlet. Seaside Heights, Seaside Park, Lavalette, Ortley Beach, Pont Pleasant, all neighboring towns. There is NOTHING left of them. My Archangel Michael is still burning. Thank you Lucky Mojo. Thank you Crystal Silence League. Thank you Cat. I prayed thise excepts from the Bible seconds before we lost power. Thank you Miss Cat for those wonderful psalm verses. I dissolved FWP crystals in a jar and recited the 91st Psalm into it 3x praying for protecting from the storm for my home and our neighborhood. I then sprinkled the water around the periphery of our home, all the while reciting the 91st Psalm. I also anointed all the windows and doors and car with FWP oil. I also invoked St. Michael and recited his prayer for protection many times. Thank you everyone for sending prayers to this area. is there any spell I can do to stop/prevent these things? what would be a potent protection from these things? I already have 12 oils from luckymojo which includes fiery wall of protection, banishing, and controlling. I'd like something to work on with what I already have. Wow. What a horrible way to live. My heart goes out to you. There are so many things that you can do (besides oils). There's incense, candles, amulets, prayers, etc., etc. Of course, I've only listed a few pages. It would benefit you to browse the Lucky Mojo web pages and the forum to get more ideas. Good luck to you. PLEASE be safe. 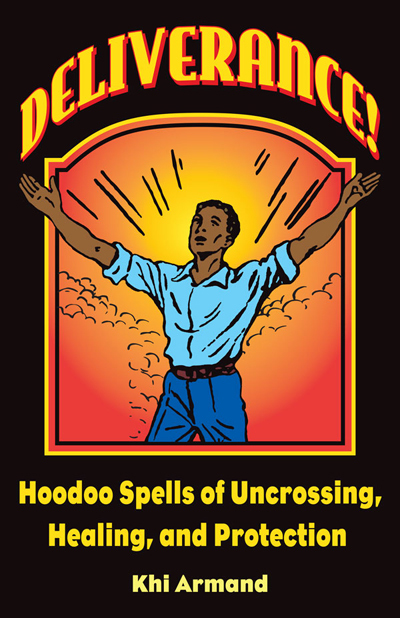 Much of hoodoo doesn't deal with direct control over natural forces, especially as some of the more terrible natural forces are often seen as acts of God. You could also use direct pray to God to ask to protect you from those forces, or to turn aside their fury to spare you. That is also where Psalms or petitioning saints can come in handy. I believe there is famous Virgin Mary known as our Lady of Refuge who is believed to protect New Orleans, and in the past has turned aside much of the damage from hurricanes and flooding. Your best bet would to pursue protection for yourself, your home and your family and loved ones. That is probably best done with the Fiery Wall of Protection. You could use as your protectors various archangels including Michael, Gabriel, Raphael and Uriel along with perhaps Metatron and other angels that you can find. Psalm 91 is one of the most powerful prayers for protection. It is often used while petitioning Archangel Michael. Gardening spells for a bountiful harvest? I'm starting a real garden this year, to cut down on grocery bills and be certain that what we're eating is healthy. I plan to cultivate as organically as possible, so any help will be really welcome! I was looking for spells related to gardening but I haven't really found any. Can anyone give me some pointers? As a secondary question, is there any way to ensure any of these fertility-related spells won't have any personal backwash? I'm on contraception, but I know spellwork could mess with that, and right now a baby is a Very Bad Idea. Re: Gardening spells for a bountiful harvest? There are lots of gardenting spells and techniques out there, for the techniques however - that would be part of a different forum! You can also PM me for a few pointers if you desire. For the spells, begin by planting using a Farmer's Almanac: it really does make a difference and it's what most folks did (and still do around here) until recently. Another long-used magical technique to ensure bountiful crops (although it is not Hoodoo and pretty much outside the scope of this forum) is to fertilize the soil with your menstrual blood (if your contraceptive doesn't avoid you having a monthly bleed). Many crop spells exist in the old European Grimoires as well (again outside the scope of this forum). aura wrote: For the spells, begin by planting using a Farmer's Almanac: it really does make a difference and it's what most folks did (and still do around here) until recently. Another long-used magical technique to ensure bountiful crops (although it is not Hoodoo and pretty much outside the scope of this forum) is to fertilize the soil with your menstrual blood (if your contraceptive doesn't avoid you having a monthly bleed). Tampon tea, then? Thank goodness for watering cans! Note to self, also look into protection/no-trespassing spells. The raspberry canes I'm planting along the fence may not be enough of a deterrent. Im not sure where to post this so Im posting this question here. 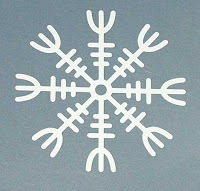 I am wondering if there is a way to do Conjure magic for rain fall. I live in California and we are in desperate need of rain. Is there any advice on what I can do to help make this happen? Well, you have an Orisha name (Oshun). So, you must know the Orisha to help with this, right? That Orisha has a Catholic syncretism: St Barbara. I was always taught to bring a soaking wet broom outside and sweep on all 4 directions while calling on her to make it rain. Additionally, a community altar with the same request by many would greatly help. I hope this helps. And I pray that it rains for all of you. And I pray for rain. Thanks so much. I am very drawn to the Orisha and I do pray to her everyday. Your information is very enlightening. I will definitely use it. Thanks so much! I'd like to start some long term work to help heal the Earth Herself. The Earth is warming at an alarming and unnatural rate and it seems like every bit of ground that has been gained for the environment is being reversed by politicians. What can I do magically on a long term scale to help protect the Earth? What a lovely idea! Climate change is a very real problem and everything that can be done to help should be done. For your goal, I would work with candles on an ongoing basis. You can print out a photo of the planet and write your petition across it (choose the words that feel right to you) and place that beneath a white Crucifix candle. Dress it in a combination of Healing, Blessing and Tranquility oils (this combination of scents is divine) and pray over it. You can surround that with several blue 4" chime candles dressed in the same oils, to support your work. You can burn the cross candle in stages if you wish, but burn each chime candle down completely every time you work this spell. Thank you for thinking so magnanimously. I hope this helps. Good luck. I love the suggestions that Miss Athena and Miss Aida gave for healing the world when it comes to weather conditions, climate changes and global warming problems here on Earth. I love the idea of printing out a picture of the earth like what Miss Athena suggested to someone on here and using it to heal similar problems like terrible weather conditions(Hurricanes, Tornadoes, etc.). What I am interested in doing that is similar is printing out a picture of both the Earth and of the USA(Where I live) to use in doing healing and peace work to heal all kinds of issues that goes on in the world such as violence, sexism, homophobia, racism, terrorism, tensions between countries and of course weather, global and atmosphere problems like global warming and things like that. The products I am considering ordering is The World Peace Vigil Candle, Tranquility, Healing and Jesus The King candles and products. Feel free anyone to help me with other great suggestions, Your help will be greatly appreciated!